One main deciding factor when buying a home would be which is better: Old or New? Both new developments and fixer-uppers offer inimitable advantages. Here we will define the pros and cons of each. The median cost of an old home is across-the-board higher than the median cost of a new home. If your main concern is saving money, then an older home may be for you. Keep in mind that older homes have other permissible fees that may occur. Older homes are often less energy-efficient and will cost more to heat and cool. Sooner or later, something is bound to break down, too. Just like older cars, old homes come with a need for repairs and upgrades. It is important to have a thorough inspection before buying an older home to make sure everything is in right standing. This also helps with negotiating. On the other hand, “New homes should be worry-free for several years,” says Stewart. 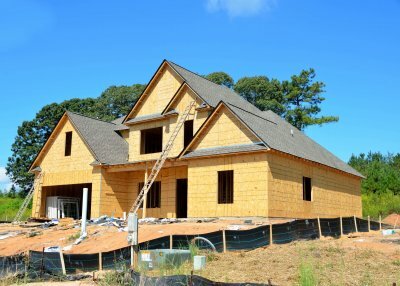 “A brand-new hot water heater, HVAC system, and roof all but ensure no major out-of-pocket expenses for at least eight to 10 years in most cases.” If you are seeking a hassle-free home for the next several years, a new home may be for you. Both older and newer homes have their enthusiasts. Ultimately, looks matter when it comes to a home. In an older home, you’ll likely get some sense of character and detail. Many older homes will have crown molding and real hardwood floors. On the flip side, newer houses often offer the latest in home trends. Many newer homes will have open floor plans, accessible hallways, and on-trend amenities. Honestly, that is for the buyer to decide. Both older and newer homes have great advantages. The main deciding factor is which option fits the individuals’ character and price point.